For me the average household chore is only temporarily rewarding, because before you know it, the serenity which comes from the cleanliness and order you’ve just created is short lived. Dust and chaos return in a flash! 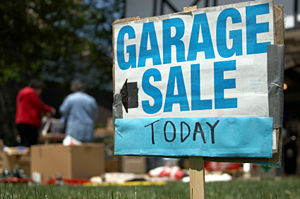 On the other hand, I find ‘de-cluttering’ much more rewarding, and more so knowing that a lot of ‘stuff’ not used in a while is either going to someone who can use it, or to help in raising funds for one of the animal charities I support. Spiritual healing is the healing of the human body through spirit power by means of mediumship. Healing comes under both the mental and physical phases of mediumship. The sending of healing vibrations mentally, and the healing forces applied without the laying on of hands, all come under the heading of mental mediumship. Some marvelous things have been accomplished by the sending of healing vibrations through the power of thought. 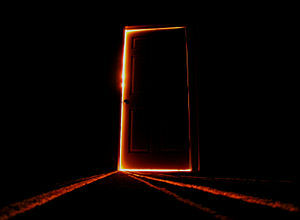 In recent times, I have received an increasing number of enquiries about poltergeist activity. Hence this blog focuses upon poltergeists, including guidance on how to avoid and eliminate such activity. A poltergeist is a spirit manifesting its presence by noises and acts of mischief, such as throwing furniture. Living in a home with poltergeist activity can be a very frightening experience. Cupboards fly open; dishes fly across the room and break, and wall hangings rattle or fall. Do you ever feel like you’re existing and not actually living? Well, guess what? You’re not alone. I think at some point in our lives we all do. In these difficult times, we worry about money, career paths and choices, the perfect house, the perfect spouse. Our children. Have we raised them right? Or, have we spoiled them? For those of you who don’t know, two year olds grow up and teenagers grow out of it. All of the above are legitimate concerns. But at some point we need to remember to worry only about the things we can control. Sometimes I do it too – we all do it. We sit there and rehash stuff in our minds…over and over. We beat ourselves up and say things like, “If only I would have done this”, or “If only I had not said that”. This kind of thinking really is a waste of time. It can be very draining to sit and analyze things gone by and worry about the past. Of course, it is certainly better to move with some discernment and caution, while we are going about our day, so we don’t make unnecessary mistakes or fall victim to this kind of regretful thinking later. But it is also important to know that no one is perfect. To get a successful answer from my relationship readings, it is good to know that I can provide you an empathic reading very quickly, usually within five minutes, if you want their feelings in general about you, without knowing their psychological motivations. 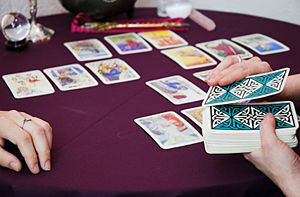 But please do allow for at least ten to twenty minutes for a thorough understanding of what your Tarot cards are stating if you want an answer to a situation. Sometimes I can get the answer very quickly, but it may take time for you, as the new client, to understand what I am going to have to explain to you, because I get so much detail. Before studying various Western disciplines of healing and divination, I undertook training to become a Sangoma some 30 years ago, on the borders of Mozambique and Kwazulu Natal in Southern Africa. 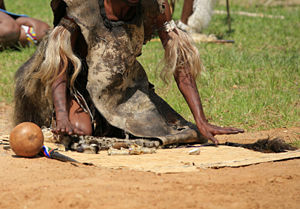 A Sangoma can be described as the African equivalent of the Native American shaman. To some uninformed Westerners, indigenous African methods of divining often bring up thoughts of witchcraft, but just like there is good and bad in all cultures and professions, the true essence of the African diviner or shaman is a spiritual one of seeking advice through the wise Ancestors. Just as Western diviners would rely upon their spirit guides to give them guidance, so would the African diviner rely upon the Ancestors.